Year 1S OLC: Parent help needed! On Thursday 9th of March, we are seeking assistance in assembling some Maths resources for each of the Year 1 students. 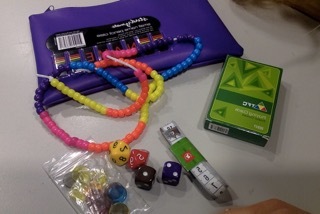 Both Miss Rundle and myself would like to create a "Maths pencil case" for each student that includes tactile maths equipment that will greatly assist in the students learning. This should only take an hour to an hour and a half and you will have an area set up in the hall with all the resources you need. There will of course be coffee and morning tea to keep you going through the morning.